Knutsford’s Firework PR has promoted Emma Beardsley and Gail Titchener (pictured) to associate director roles. 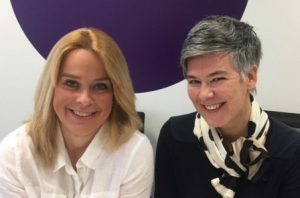 The pair work with agency founders, Andrea Hounsham and Clare Wall, to build dedicated areas of specialism based on their brand experience in home interest, retail and leisure and professional services. Hounsham and Wall said: “Firework recently celebrated its fifth anniversary and achieving this milestone was a concerted team effort. Both Emma and Gail have proved to be invaluable in the time they have spent with us, regularly going the extra mile. “Their levels of loyalty and continued energy has helped make us an incredibly strong team and build a successful business. It’s only right that this is rewarded. “The fact that this has been achieved working part-time, with flexible hours to help juggle family commitments, is really important to us. “It’s one of the reasons we believe Firework is so successful in retaining great, creative, senior female talent.